Perhaps you have your flights, accommodation and property viewings already booked for the Algarve but maybe it is a good idea to also think about hiring a car. 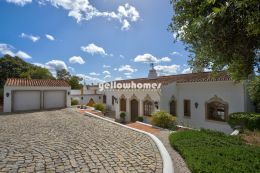 After all having the freedom to explore the beautiful Algarve will only help cement your decision to buy a property here. We would be very happy to help you book your car through a local and reliable car rental company. We can arrange car hire from the airport for the full duration of your stay or even arrange for a car to be delivered at your accommodation for a single day – whichever you prefer. Once we have this information we will get back to you with prices and options.